Drive the overall performance of your organization by coaching employees to develop the skills they need to be better at what they do. There is no greater tragedy in business than putting competent employees into jobs in which they are destined to fail. When good people are put into jobs to which they do not fit, their potential is wasted and employee productivity decreases. Learn how to get the most productivity from every employee. PROFILES JOB FIT™ is the single most important factor in job success. Yet many employers overlook job match when allocating human capital. The classic example of a poor job fit is when a company picks its best salesperson to be a sales manager and then finds that he or she is less successful, happy, or productive in the new position. The qualities that make a great salesperson are different from those of a great sales manager. It is the extremely rare individual that can do both well. PROFILES JOB FIT™ has multiple dimensions – fit with a job, fit with a manager, fit with a team, fit with an organization. Effective job fit can be identified based on an understanding of a person’s core characteristics and how those characteristics impact things like employee productivity, relationships with managers, and ability to work within a team. Employee productivity increases when they have a good fit in their work environment. Profiles International provides invaluable tools for increasing employee productivity. 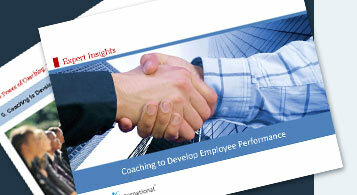 We leverage information about employees to create custom coaching recommendations on job fit. Our coaching solutions help to increase an employee’s success within the organization, improve their working relationship with their boss, and increase their effectiveness as a team member. What makes our tools the leading tools in the industry is our exclusive PROFILES JOB FIT™ technology. PROFILES JOB FIT™ technology is the most advanced, state-of-the-art solution available today for measuring human potential and predicting job performance. Using PROFILES JOB FIT™ as a key part of your system for increasing employee productivity, you will be able to uncover why some of your employees perform at extraordinary levels while others, who appear to be equally qualified, are only average performers. Placing the right people in the right positions will make a positive impact within your organization.